Larry Divin Rippeto, 67, of Hallsville lost his battle against Leukemia, at high noon on Thursday, April 4, 2019. It was the only fight he ever lost. Visitation will be from 5:00 – 7:00 p.m. on Monday, April 8, 2019 at the Bach-Yager Funeral Chapel. Funeral services will be at 1:00 p.m., Tuesday, April 9, 2019, at Bach-Yager. Burial will follow at Mt. Zion Cemetery, Hallsville. Larry was born on November 1, 1951, to Morris Divin and Beulah Mae Rice Rippeto and they preceded him in death. In 1993 he married Brenda Dianne Davis in Hallsville and she survives. Larry Rippeto was famous in the small town of Hallsville, MO. Even if you did not know him you knew his name. He would brag that as a child he could get milk and cookies at any house in town. In his early years he would travel by pony, bike or train to his job as a dishwasher at the Ranch House restaurant or working at the business loop McDonald’s. During his life he would learn and master many trades; auto mechanics, roofing and could fix any tractor. Give him balin wire and duct tape and he could fix any piece of farm equipment. He traveled to many farm equipment auctions, as a result he leaves behind a grave yard of lawn mowers and tractors that he bought because “ they were a good deal” . 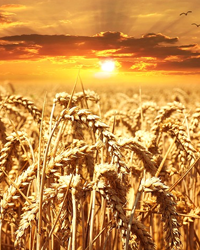 He considered himself a lifelong farmer growing wheat, soybeans and hay. 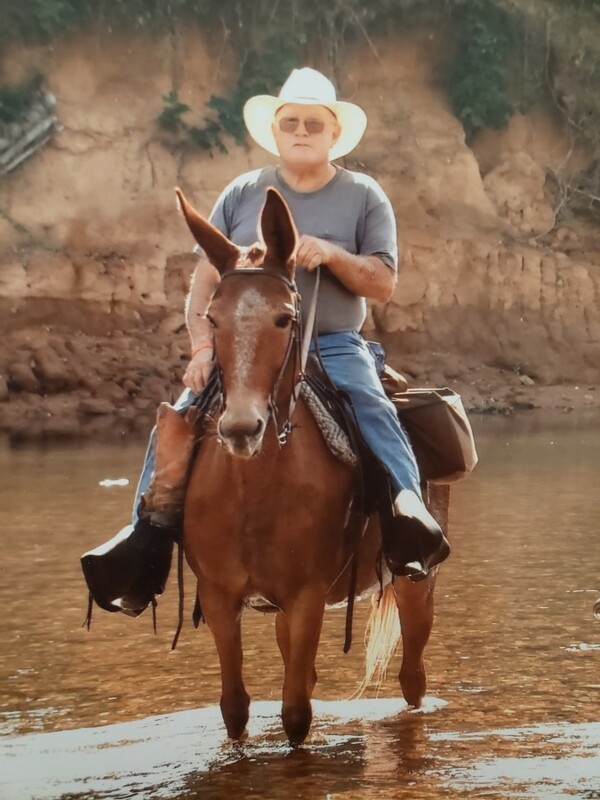 Other than attending sporting events of his grandchildren his real joy in life was sitting by a campfire, playing his guitar or trail riding on his mule. Rudolph Bennett was his favorite place to spend time with his family and friends. For the last 35 years he saddled up and attended the October trail ride in Eminence, MO. He missed the October 2018 ride only because he was beginning his battle with Leukemia. Pawpaw Rip leaves behind three daughters, Leah Rippeto and Kari Rippeto, both of Hallsville and Jeri (George) Pettig of New Bloomfield, and sister, Stella Mae Ervin of Tioga, Texas. Three grandchildren; Andrew Huddleston, Laynee Hayward and Chevy Ritchie. He was preceded in death by two brothers, Harry Rippeto and James Ridgway, and three sisters, Dean Hitt, Mary Niemeyer and Ruth Yelvington.